Responsive design and many others. Nowadays, great content is optimized content. Read on and get to know about 6 tools that you can use to make a good web page great. They will help you grab the attention of the public and keep people on your page for a longer amount of time. A title can make or break a project. Especially when it comes to attracting the attention of people. Title-Generator is among the best tools for titles available on the web. They all use a similar algorithm when selecting a title. Any title generator can be a great source of ideas when you are trying to find a name for your web page or a title for an article. However, copying a title exactly as the title generator gives to you may not be a great idea. Try to make up something original. This is a versatile tool that allows you to organize your workflow. CoSchedule can help you in different ways depending on how you like it. Whether you are working solo or run a company, it allows you to synchronize all of your tools in one place. CoSchedule can integrate with tools such as Google Docs, WordPress, Google Analytics as well as a multitude of other tools that you can use. There is no better tool on the web than Hemingway App to help you make your content easy to read for your visitors. It analyzes your text and points out any imperfections in sentence structure and word choice. Machines may not always do the trick when it comes to creating top of the line content for websites. Essay writing services like EssayPro can be of enormous help when it comes to editing and proofreading your content. This platform works with top of the line tutors and writers all over the world. Although providing high-quality academic assistance is their primary focus, these specialists can help with any text correction and editing better than any robot. Cliche Finder… well, the name speaks for itself. The tool analyzes your text for any cliches that you may have there and this will help you remove them if needed. Use it in conjunction with the Hemingway app to take your writing to the next level. Nothing can hurt a site’s reputation like plagiarized content. 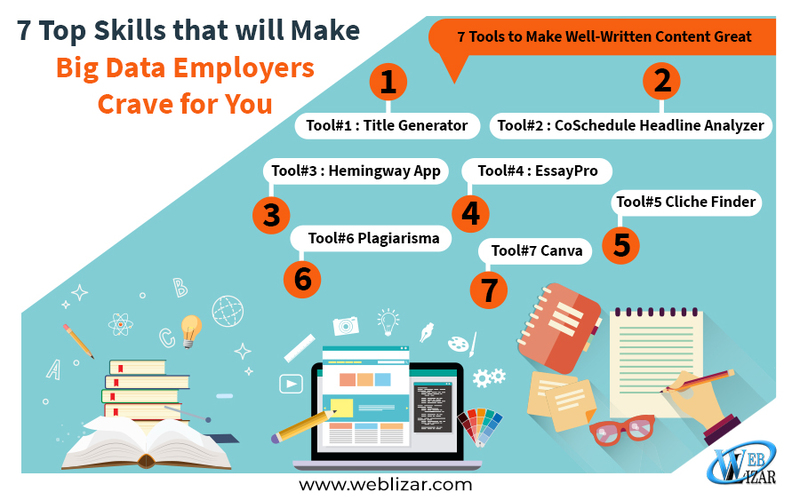 Before posting content on your website, it is always a good idea to run it through a plagiarism checker like Plagiarisma to avoid any awkward situations in the future. Plagiarism allows you to do just that. It is a free tool that is used by millions of students and professionals throughout the world. Add custom media elements to your site, starting with your brand logo! Anyone can operate with Canva. No design skills or background are required to be able to take the full advantage of this tool. It is intuitive and its user-friendly interface allows anyone to create images and promote them on social media and the sources relevant to their specific niche. A nice touch of design can get your web page better SEO rankings and most importantly, make it appealing to visitors! If your web page is eye candy, it is better in grabbing people’s attention. As well as making your website more palatable to the eye, visuals also help better perceive the information on your webpage. Create the best content you can and remember to optimize it for search engines to attract more people to it. Remember, a high quality, creatively written and the original article is a backbone of a successful web page. Spice it up with some catchy visuals that complement the theme of the article and you are on your way to success. Promote and optimize your content for search engines for the best results. Good luck in your endeavors!